We love getting behind our customer’s crowdfunding campaigns. So when Benny Sachs and Eric Hoffman reached out to let us know they were taking their playful architecture puzzle to market, we were thrilled. Moda, a new brand founded by architects Benny and Eric, makes puzzles without images. 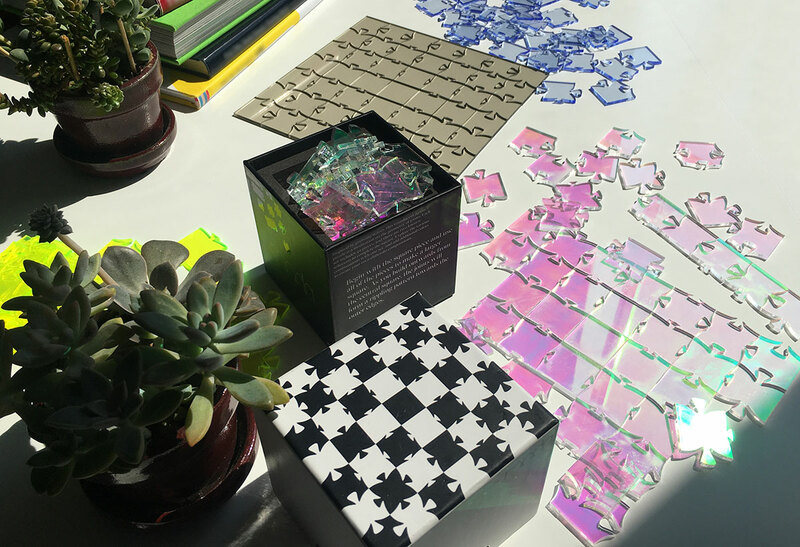 Laser cut from tinted acrylic sheets, the Waves Puzzle challenges players to explore the logic of the joints themselves. 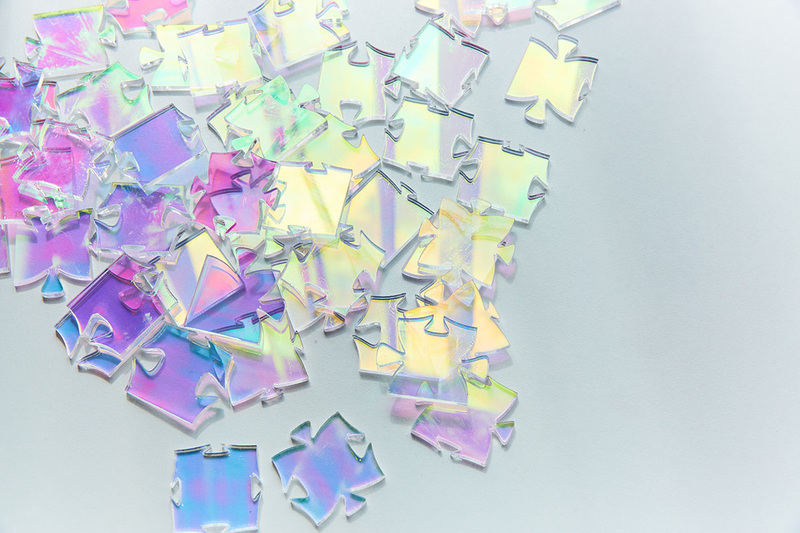 Intended for kids and adults, the 49-piece puzzle is simple in concept yet challenging to solve. 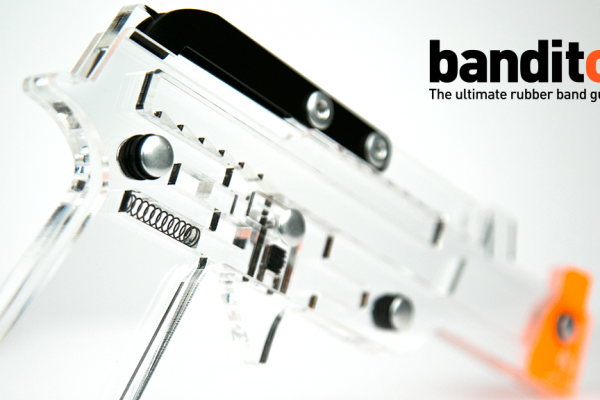 The translucent acrylic material highlights the edges of each piece rather than a superimposed image. The joints vary in size and direction based on their relationship to the center of the square. 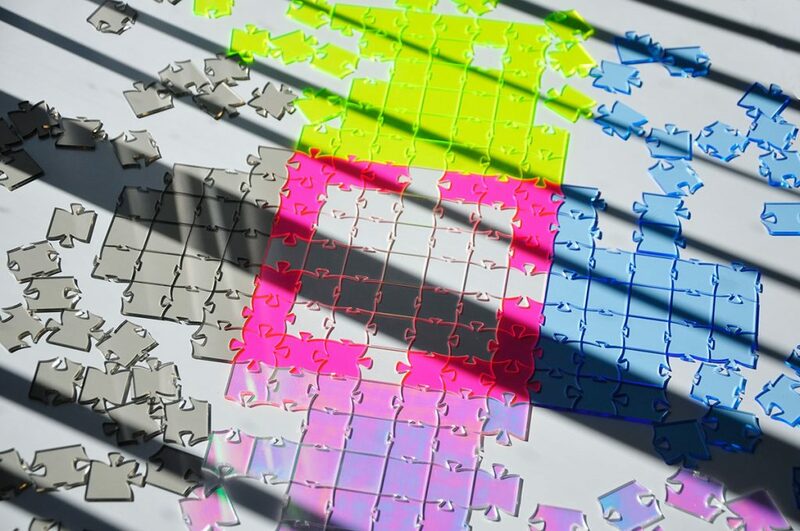 There are two known solutions to the puzzle, and players can also combine multiple puzzles together into elaborate compositions. The puzzle is available on Kickstarter until October 25, 2018. 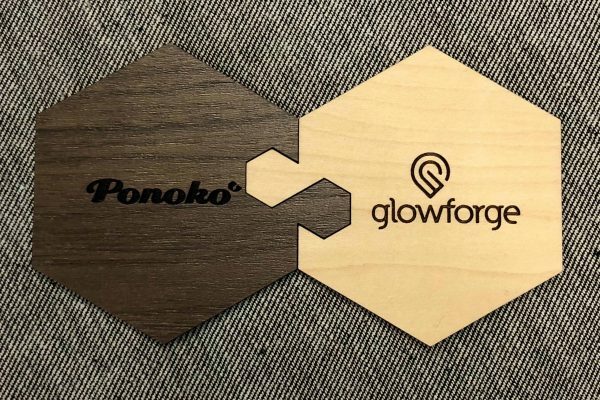 Benny and Eric also prompted Ponoko to explore new materials. Finding, sourcing, testing and pricing new materials is a tough and time-consuming business. Although we add new materials monthly to our catalog of 200+ materials, we love when customers have a specific material in mind. It means we’re adding materials our customers (and their customers) really want. Currently 83% funded and with three weeks to run, we’ll be seeing these beauties in people’s homes and offices by January (and sooner if we have anything to do with it). So go give Benny and Eric a wee kick to get them over the line. But hurry, this Kickstarter campaign ends on October 25, 2018. To keep up with all things Moda, check out the website as well as Instagram.